By what means do social media contribute to social movements? This question has been studied for decades, but rarely from the collective sense-making perspective. When a particular crying out for social change is taking place, people nowadays begin to talk on social media platforms. We examined the focuses of people’s talking in a protesting context where multiple protesting tactics were involved including both online and offline activism. By analyzing Twitter messages during Ferguson unrest in August 2014, we revealed two distinct types of online conversations: one discusses offline protests concerning more immediate happenings; the other goes beyond involving meaning-making to diagnose and digest the disorienting thoughts and feelings. To characterize the discussions, we developed two coding schemes, first to differentiate the discussion of offline protests from others, and second to differentiate ways of meaning-making. This study is the first attempt to identify the challenges of differentiating tweets consisting of street protest information, and the developed coding scheme, together with machine classification, can be applied to identifying tweets consisting of street protest information. We observed that while mainstream media often focused on what happened on street, during Ferguson protests, only one out of every 4.5 tweets focused on offline activities. 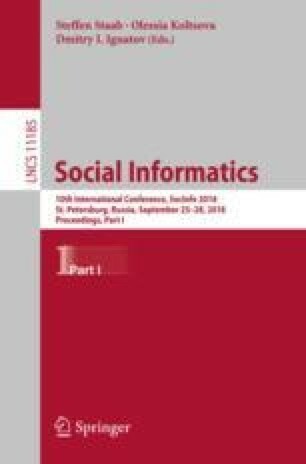 Our study offers evidence for considering social media’s significance from an alternative perspective – the media are not simply the witness or facilitator of offline protests, but leave traces that afford to study collective mind activities and changes such as meaning contesting and perspective shifting that are essential for social change. The authors thank Joshua Bloom for his insight in the early stage of this research. The authors would like to acknowledge the support from NSF #1634944. Any opinions, findings, and conclusions or recommendations expressed in this material do not necessarily reflect the views of the funding sources.